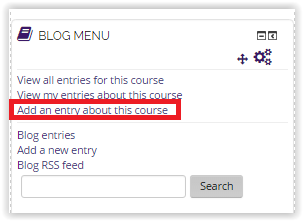 If the instructor has enabled the Blog Menu block, users can Add an entry for the course. See article Blog Menu block for information about adding it to a course. 1. 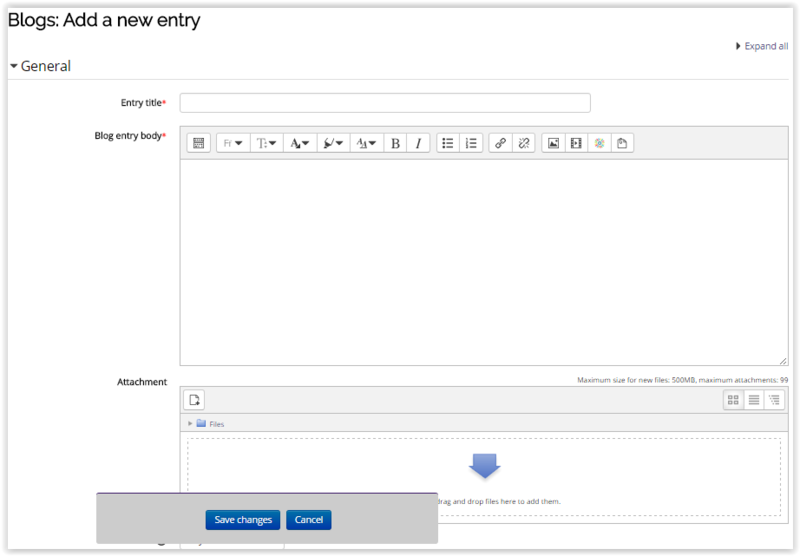 Log into your course in Moodle and locate the Blog Menu block. To add a blog, click Add an Entry about this course within the Blog Menu menu. 2. A title and text body is required with the General settings tab. When finished, select Save Changes at the bottom of the screen.